Social Media Engagement Matters Most. Here’s Why. From CPG brands like Coca-Cola (1M followers on Instagram) to personal/lifestyle brands such as Sonya Esman’s Class Is Internal (she averages 100K likes on Instagram), you can’t scroll for more than two minutes on a platform without running straight into a brand. However, people seem to react to brands on social media the same way they do when spotting a Tinder hookup in public: acknowledge but almost never engage. Over the last six months or so, I have noticed something unsettling: Instagram accounts with over 100K followers with feeds full of spam-worthy quote cards and memes. These accounts, which seem to be more driven by personal brands than corporate, are pulling serious numbers in terms of followers but is the engagement there? One account has over 180,000 followers and is verified but averaged 1,300 likes per post over there last 10 uploads. That means approximately 0.7% of their followers are engaging with each post. Don’t get me wrong! These users definitely have a strategy in place to increase their followers. It’s just that they clearly have sacrificed the quality of content they’re sharing. Surprisingly enough, many brands still operate as if the amount of followers a platform has is a strong indicator to success. What’s that, Beyonce? You have a message for those people? Okay, what is it? One of the most embarrassing thing for a brand’s social profiles is to have a very large following with very little engagement. But the higher-ups still want to see tons of followers! Hell, even I want to see the number of followers on all of my accounts shoot through the roof but I’m also refusing to forfeit at the door of quality just to see rapid spikes in followers. 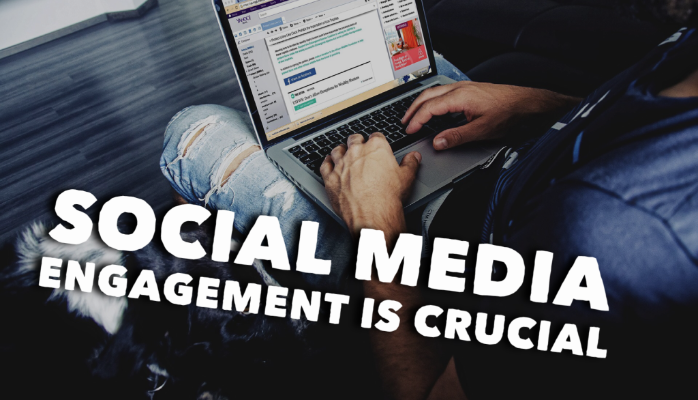 So, what’s a social media marketer to do when trying to convince their bosses that social media engagement is just as important, if not more, than an account’s number of followers? Your first line of attack comes in the form of statistical data! But here’s the trick: don’t focus too much on your own brand to begin with. Do some research to find a handful of brands that seem to have tons of followers but low engagement. Go one step further by taking a look at their last ten posts or so to find the average engagement percentage. Those numbers are bleak and you don’t want to be on that sinking ship. Even someone not well-versed with social media analytics knows that 0.002% is reason to be concerned. Shocking stats like this usually gets their full attention. Good thing, too, because you just so happen to have a few ideas on how to make sure your brand doesn’t fall into this trap. Always make sure you have some type of visuals on hand. Trust me. No matter what industry you’re in, visuals will help. While working for a television network, I was asked to walk through some stats in a department meeting. I pulled together a list, my boss added a couple of notes and we walked into that meeting very confident that our stats would steal the show. I got back to my cubicle and wanted to crawl under my desk. Later that day, the head of our department sent a note stating that it might help if he could see some type of visual to accompany the numbers. In the next presentation, I shared screenshots of successful posts, tied in appropriate stats and then finished with a recommendation on how to move forward. Who knew that those six little words could be so damn impactful? It can be a bit daunting to tell your boss that the competition is doing something better than you because, well, we like having our jobs, don’t we? However, this might be one of the best ways to help change an executive’s mindset from focusing solely on boosting followers to creating content that transforms a community into brand advocates. 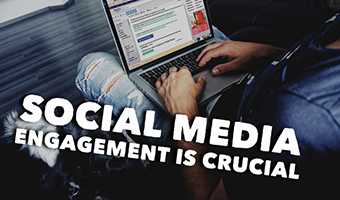 Once upon a time, I was told that I would have to “manage up” when it came to social media because many executives just didn’t understand. So, one way to do so is by starting a conversation which validates the executive’s thoughts. Next up? Tell them what the competition is doing right that your brand isn’t. This might ruffle their feathers and put your job very briefly in jeopardy. Luckily for you, you’re closing the conversation by sharing strategic ideas that will increase the brand’s engagement…as well as followers. So, you’ve tried all of the above and yet your boss still dwells on followers, followers, followers? Whatever. Go stealth and create a second strategy that focuses on growing social media engagement. This strategy should in no way overshadow or replace what your given directive is. It is meant to compliment what is already being executed. What you want to do with this second strategy is grow your brand’s engagement over, say, three months. Give it time to connect with your audience. When you see success at the end of that time period, make a visual-driven report and hold your head high as you share it with the team. Before presenting to your superiors, make sure you have made a deposit in your confidence account. Giving an executive stats on an initiative they didn’t “approve” of can be a scary situation to find yourself in but you have to remember that you are trusting your instincts to do things that only improve this brand’s social media presence. During a moment of professional insecurity, a more senior peer in my industry let me know that I was on the right track. As brief as our conversation was, his words of confidence allowed me to believe again in myself and I bounced back from said insecurity even stronger. If you don’t feel secure about something, the likelihood of convincing others is slim to none.